Since Thanksgiving, I’ve been on the bench. I’m on the injured reserve. I’m showing up in street clothes to the big game. And, obviously, I am not thrilled. I managed to separate my pelvis at the gym — how exactly, I don’t know, and no, I’m not pregnant (even though, as Erin learned a few years back, it’s a common injury for women who are expecting because your hormones are relaxing all your ligaments and tendons and stuff). I can legitimately say that it’s the most severe pain I’ve ever experienced, and although my chiropractor quickly moved things back into place, plenty of damage was done. Recovery is similar to what you’d do for a bad ankle sprain — rest, ice, gentle movements to keep it loose, and time. However, it’s worth noting that the seemingly gentle, easy exercises I’m doing are … well, my booty is sore! And yes, I’m coming at this from a less fit place than usual, but I figured it was worth sharing what I’ve been up to because we all get injured from time to time, and it’s nice to find something that gives us a bit of a burn, right? 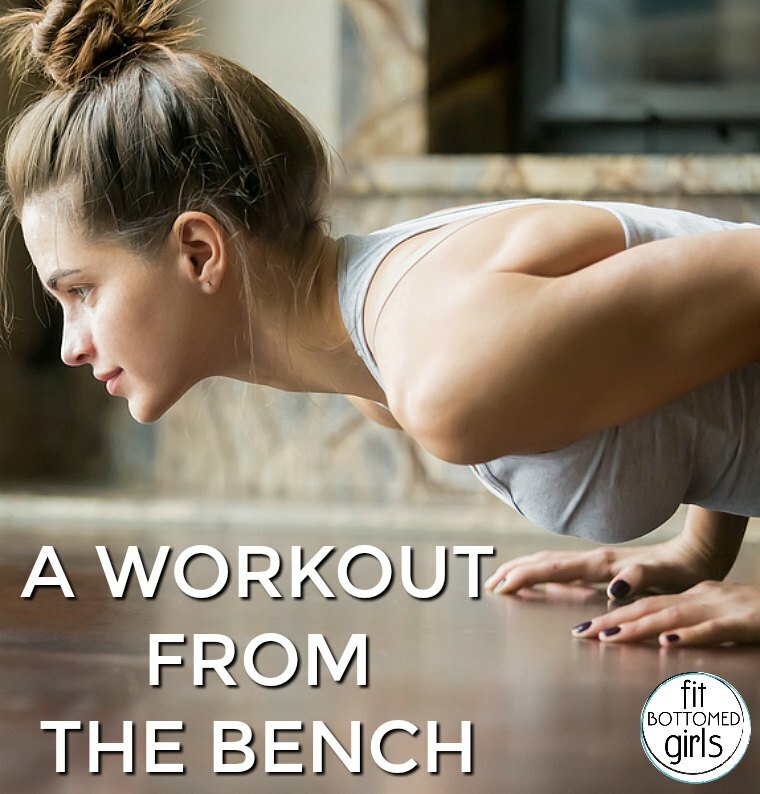 So the following is a workout that incorporates some movements that don’t seem to bother me, plus a few of my physical therapy exercises. It’s almost funny to look at this compared to other workouts I’ve done and loved, because I truly enjoy pushing my limits and feeling badass and strong. But I never want to experience that pain again if I can help it, so if the experts say give it time, that’s what I’m going to do. And I hope that by sharing this here, it’ll be a good reminder to a few of my fellow badass workout pals that going all out isn’t always the quickest road to your strongest self — sometimes you’ve gotta take it slow and easy in order to get back to where you want to be! Great idea thanks for sharing it. Nice approach i am very inspire very interesting and motivative post thanks for share. Intense work out, just easy to imagine but its quite hard on the actual. The push up is far the hardest I’ve done, but the result was really good to stay fit and healthy. Fitness is very important for good health. Nice post. Great share!! Dumbbells are often used for joint-isolation exercises such as biceps curls, chest flyes or shoulder raises. Using dumbbells for full-body, multiplanar movements, however, can provide a variety of different strength outcomes. It also offers many benefits for cardiorespiratory fitness and flexibility. It also helps in losing weight instantly. After my workout, I prefer to have hgh supplement because it is natural and does not cause any harm to the body. It’s a must try for every individual.